Customer Remedy Our company's entire liability, and the purchaser's exclusive remedy, shall be a refund of the price paid or replacement of our products, at the option of the seller. Neither Surplusprop.com nor Creative Design Group handle the money or products that are listed on this website. All remedies are limited to the United States. These warranties exclude all incidental or consequential damages. Our company will not be liable for any damages whatsoever, including without limitation, damages for loss of business profits, business interruption, loss of business information, or other pecuniary loss. Some states do not allow the exclusion or limitation of liability, so the above limitations may not apply to you. Legal Forum, Choice Of Laws & Official Language Surplusprop.com and Creative Design Group are not sellers of any product. We host information provided by a third party that may or may not be correct. All information is controlled by the listing party and neither Surplusprop.com or Creative Design Group has access to the product or the information to determine its validity. All issues will be governed by the laws of the State of Missouri and the U.S.A. Any legal action arising out of this website shall be litigated and enforced under the laws of the State of Missouri. 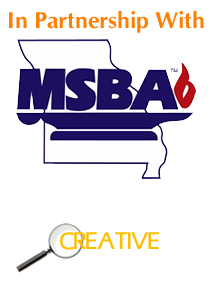 In addition, you agree to submit to the jurisdiction of the courts of the State of Missouri, and that any legal action pursued by you shall be within the exclusive jurisdiction of the courts in the State of Missouri. Whether or not you choose to print this offering, containing the terms and conditions as described herein, you agree that this contract constitutes a writing. This agreement is being written in English, which is to be the official language of the contract's text and interpretation. Copyrights This Web site and information contains copyrighted material, trademarks, and other proprietary information. You may not modify, publish, transmit, participate in the transfer or sale of, create derivative works of, on in any way exploit, in whole or in part, any Proprietary or other Material. License All images, text, contents, products and scripts are licensed and never sold, unless otherwise stated. Reproduction is prohibited. You may not use, copy, emulate, clone, rent, lease, sell, modify, decompile, disassemble, otherwise reverse engineer, or transfer the licensed program or product, or any subset of the licensed program or product, except as provided for in this agreement or expressly in writing. Any such unauthorized use shall result in immediate and automatic termination of this license and may result in criminal and/or civil prosecution.